The 2015 USA Basketball Women’s U16 National Team (4-1) jumped to an 8-0 lead and never looked back in its bronze medal 81-24 victory over host Mexico (2-3) in the 2015 FIBA Americas U16 Championship on Sunday night in Puebla, Mexico. The USA overpowered Mexico with depth and size, getting 41 points off of the bench, winning the rebound battle 71-49, recording 22 assists on its 34 made field goals and forcing 28 Mexican turnovers. 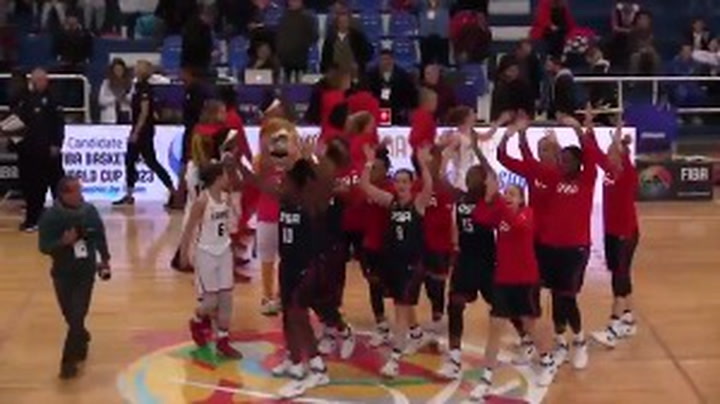 Canada (5-0) won the gold medal with a 72-71 overtime win over Brazil (3-2), which took home silver. By virtue of a top-four finish in the tournament, the USA, Brazil, Canada and Mexico all have qualified for next summer’s 2016 FIBA U17 World Championship. Four players reached double-figure scoring, including Jade Williams (Prestonwood Christian Academy/The Colony, Texas) with 11 points and 12 rebounds, Alexis Morris (Legacy Christian Academy/Beaumont, Texas) with 11 points and Andra Espinoza-Hunter (Blair Academy, N.J./Ossining, N.Y.) and Destiny Littleton (The Bishop’s School/San Diego, Calif.) with 10 points each. Additionally, Desireé Caldwell (Johnson H.S./San Antonio, Texas) had 12 rebounds, while Sedona Prince (Faith Academy/Liberty Hill, Texas) collected 11 boards and Jayda Adams (Mater Dei H.S./Santa Ana, Calif.) dished out six assists. After the USA’s 8-0 run to start the game, Mexico ended the streak with a 3-pointer at 7:33, and made another 3-pointer after four more U.S. points to bring the score to 12-6 at 5:33. The USA closed the quarter on a 10-0 run to lead 22-6 at the first break. The teams traded baskets to start the second period, and the score was 26-11 at 7:50. From there, however, the USA allowed Mexico just three more points, while it raced to 26 point of its own and led 52-14 at halftime. At the midway point, all 10 healthy U.S. player had points on the board. Valencia Myers (Solon H.S./Solon, Ohio) did not play due to a sprained left elbow, and Lauryn Miller (Kirkwood H.S./Kirkwood, Mo.) did not play due to illness. The USA went on to outscore Mexico 19-10 in the third quarter and then held Mexico scoreless in the fourth while it added 10 points to bring the game to its 81-24 final. “I am happy that I’m going home with a bronze,” Caldwell said. “I wish it was a gold, but we will take what we can get and thank God for this opportunity. Over the USA’s five games, Alexis Morris was the team’s leading scorer with 13.6 points per game, and her 81.0 percent shooting from the free throw line (17-21 FTs) set a USA Women’s U16 record. With 7.5 rebounds per game, Myers was the team’s leading rebounder. 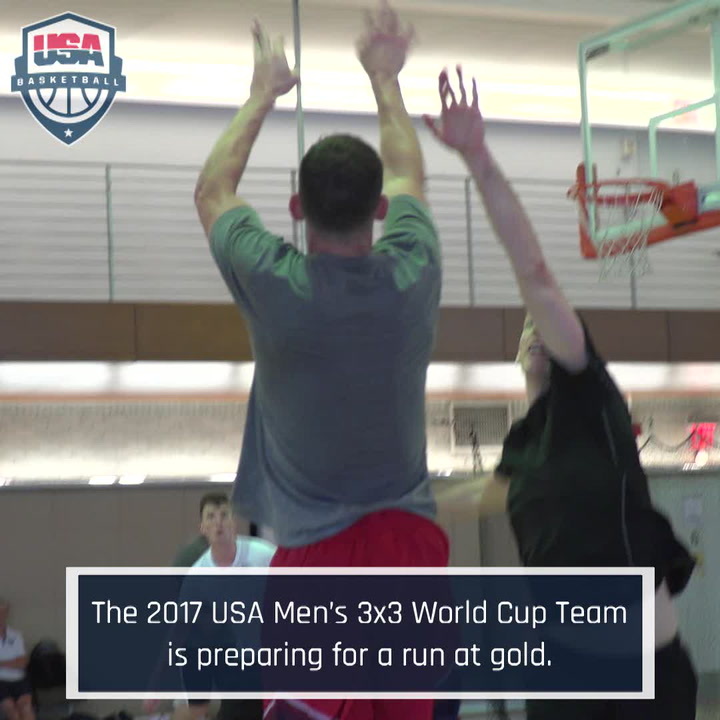 The USA women are 19-1 all-time in U16 play and overall have won three gold medals and one bronze medal in the four editions of the event since 2009. Also today, Venezuela (1-4) edged out Honduras (0-5) 66-64 for seventh place, while Cuba (3-2) topped Argentina (2-3) 68-54 for fifth place. 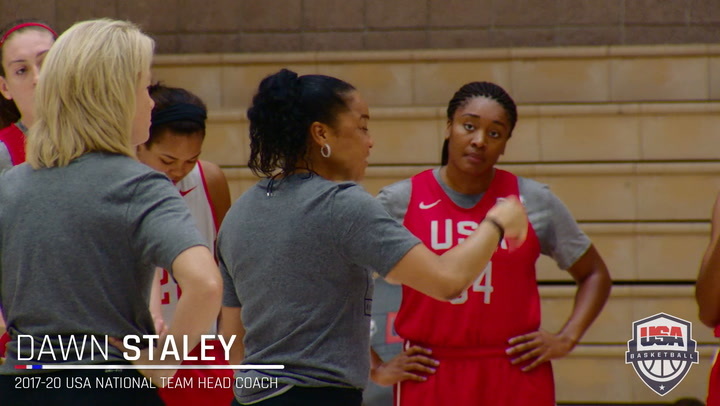 The USA’s assistant coaches were Dianne Lewis of Thomas Edison High School in Virginia and Samantha Quigley, who is the head coach at the University of St. Francis (NAIA) in Illinois. 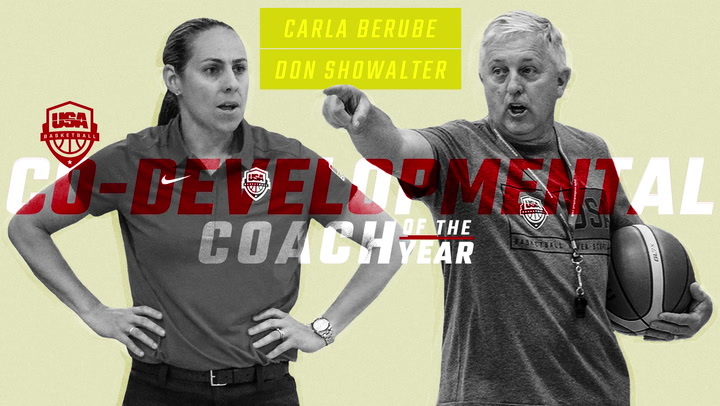 After leading USA Basketball teams to perfect, 5-0 records and gold medals at the 2017 FIBA Americas U16 Championships this past summer, USA head coaches Carla Berube and Don Showalter today were announced as co-recipients of the USA Basketball Developmental Coach of the Year Award. 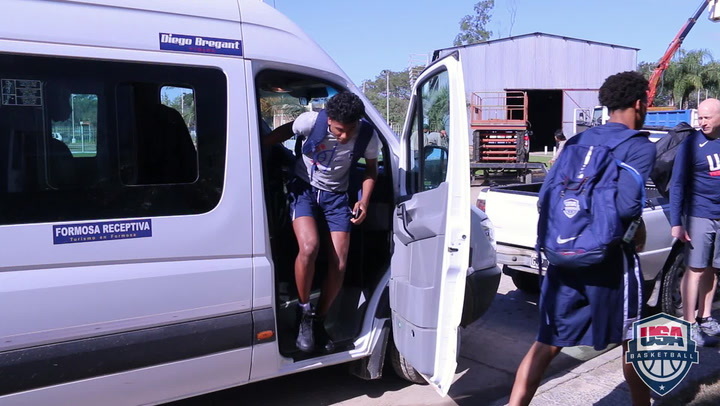 Go behind the scenes with the 2017 USA Men's U16 National Team and its golden victory over Canada.